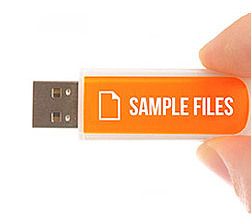 Below you will see samples of files before and after screening so you can see how your file will be returned to you. In addition, we have drafted a quick step guide that explains what happens to your data during the screening process to help you better understand how to prepare your data before you start. Examples of data uploaded, screened and available for download-icon. This first example consists of a file which contains a single column of telephone numbers. Some numbers are formatted badly or left empty deliberately to show you how our system deals with and reports back to you if your data is formatted like this. This file contains data with only one telephone number per record. With telephone field tagged with results. With numbers registered on the TPS removed. This second example is similar to the first, but contains two columns of telephone numbers. Some numbers are formatted badly or left empty deliberately to show you how our system deals with and reports back to you if your data is formatted like this. This file contains data that has two telephone number fields. With telephone fields tagged with results.